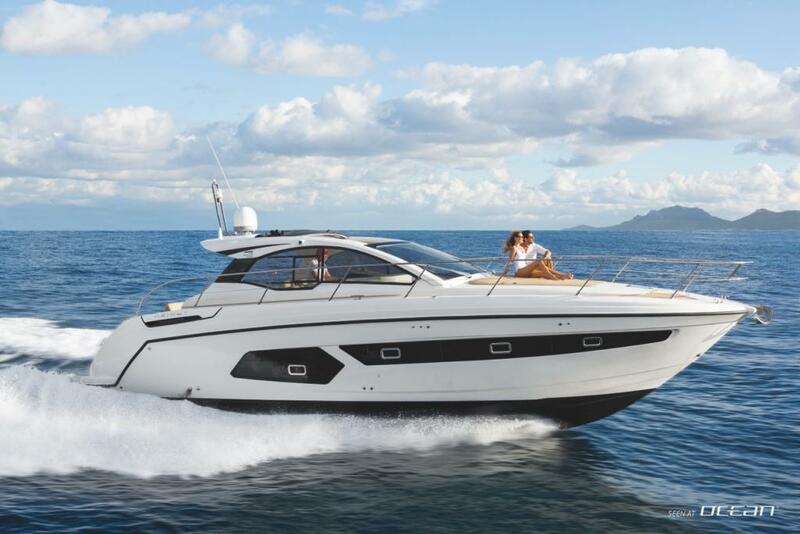 We are glad to announce our latest new motor boat fleet addition - the new Atlantis 43 for rent. 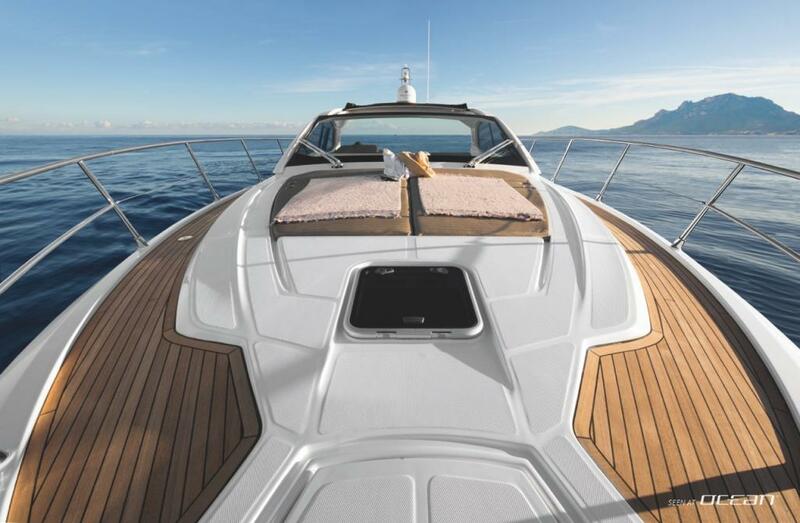 Charter yacht Atlantis 43 scores with dynamic and sporty exterior lines which have been penned by Neo Design. 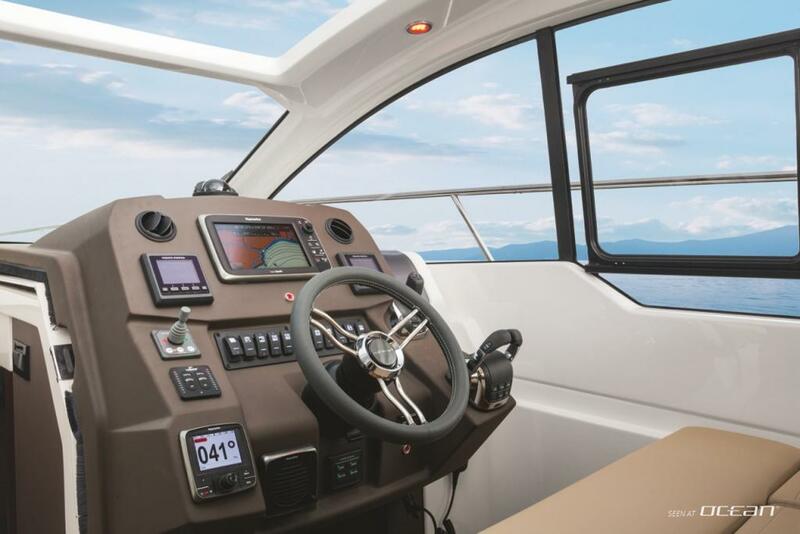 With a strong focus on easy handling and maneuverability, this stunning boat has been built with a sophisticated joystick docking system to make berthing as easy as pie. 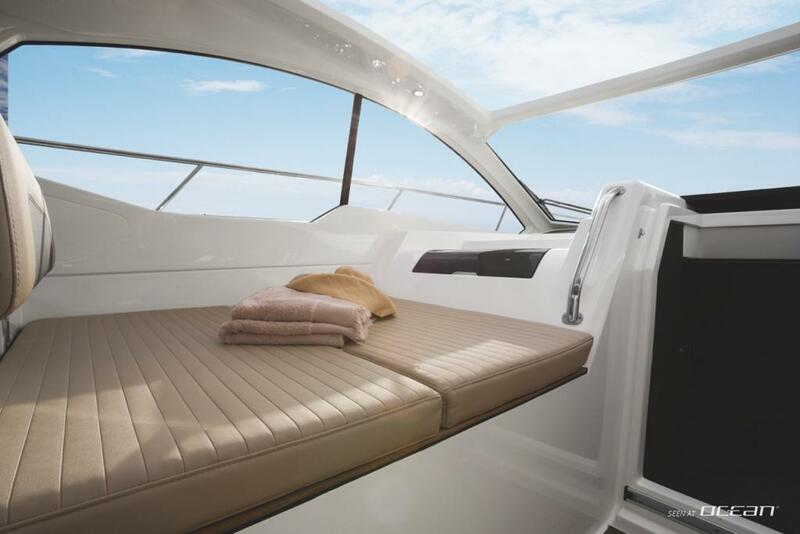 Furthermore Neo Design in collaboration with Azimut Yachts created an interior which perfectly harmonizes with the modern exterior look putting comfort and ergonomics to the fore. 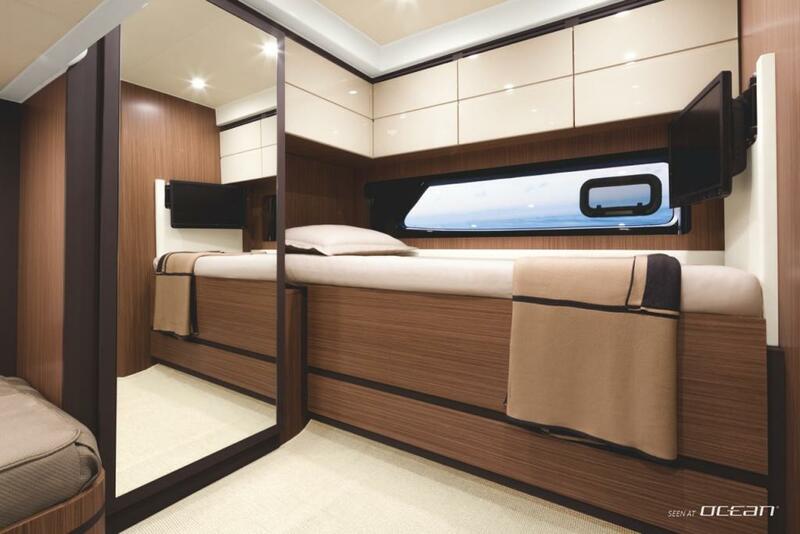 Having her compact 43 feet of length in mind, her spacious beam and impressive headroom raises the bar in her class. 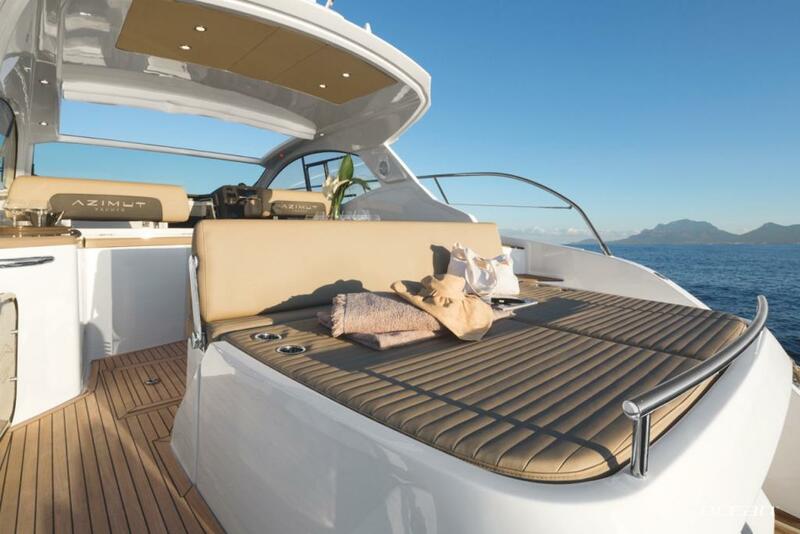 If you add the stunning and versatile layout to this package, with ample exterior sunbathing areas on the fore and aft deck including a practical tender garage below, and a well equipped and ergonomic cockpit, the new Atlantis 43 for hire truly results into one of the most compelling motor boats for rent in Croatia at all. 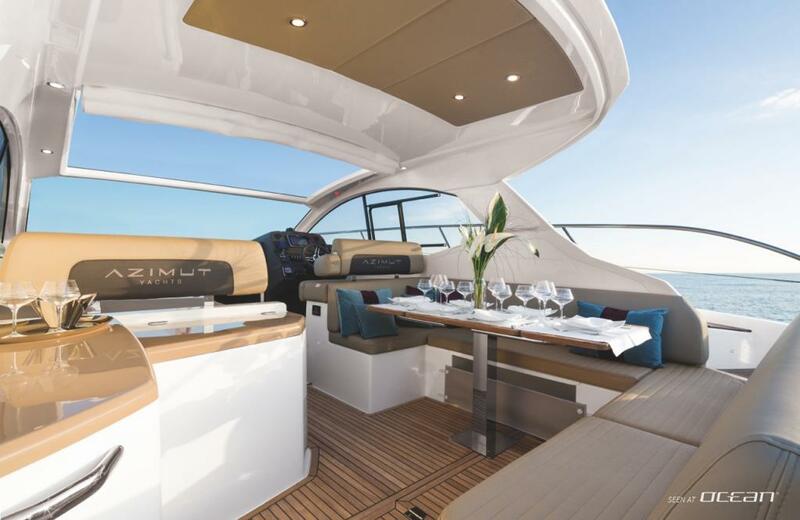 Atlantis 43 charter is the ideal boat for families and great for entertaining friends. 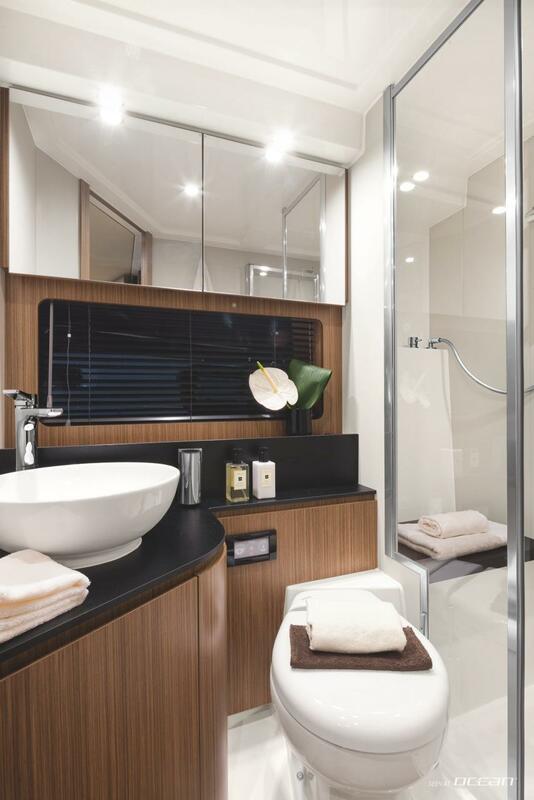 Accommodating up to 7 guests once booked on bareboat basis, guests will be able to indulge in well-appointed and comfortable 2 cabins comprising a master cabin and a versatile VIP. 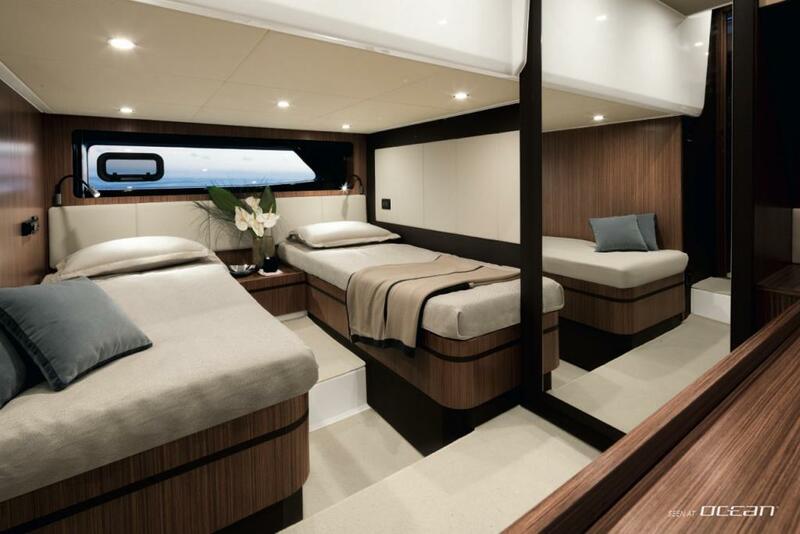 Last can be either a double bed cabin or twin bed cabin pus the single bed opposite. 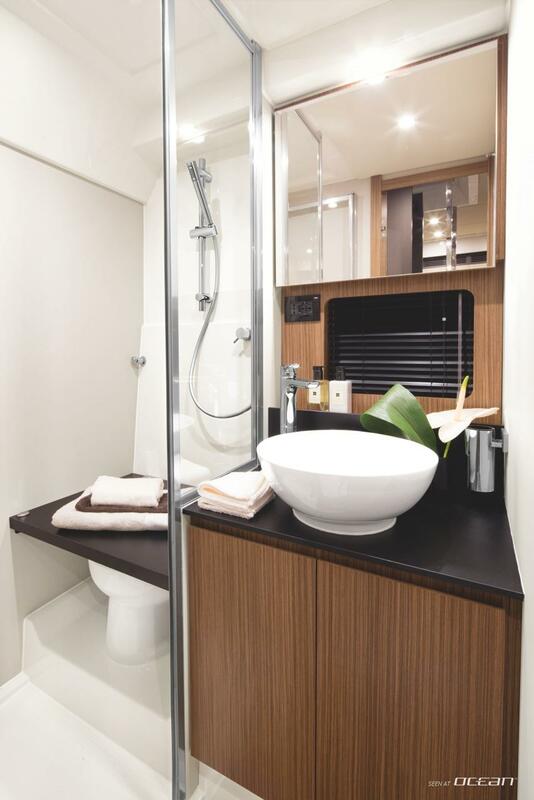 Two more guests can easily be accommodated thanks to a convertible saloon table transforming into two additional berths. More features needed? You got it! 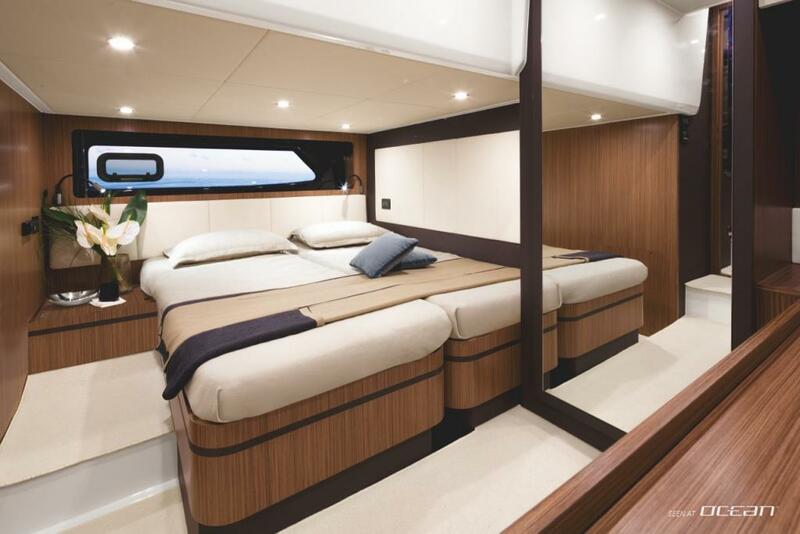 Atlantis 43 charter yacht in Croatia is equipped with an air condition system available for the cabins, saloon and even the cockpit. Independent power supply will be ensured thanks to the generator. 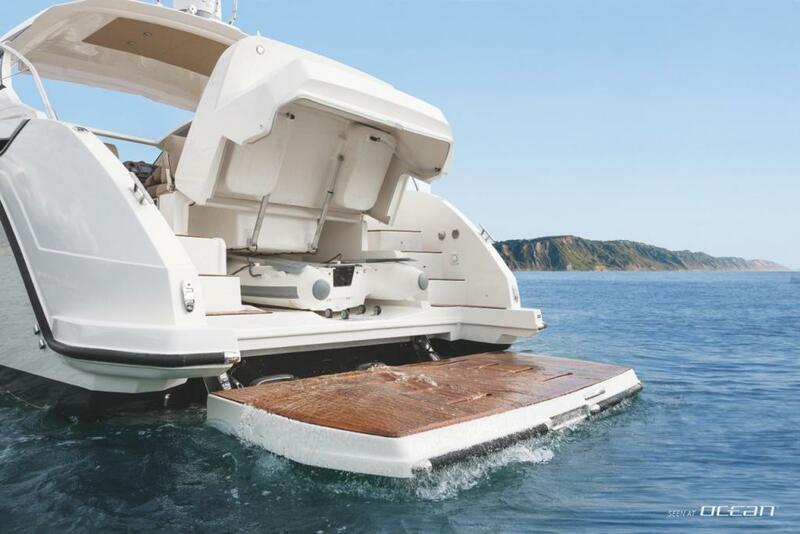 Furthermore she boasts with a hydraulic swimming platform being your private teak beach extension on sea level not only offering safe entrance into the sea or dinghy, but also being a nice chill spot for enjoying views and let one's legs dangle in the water. 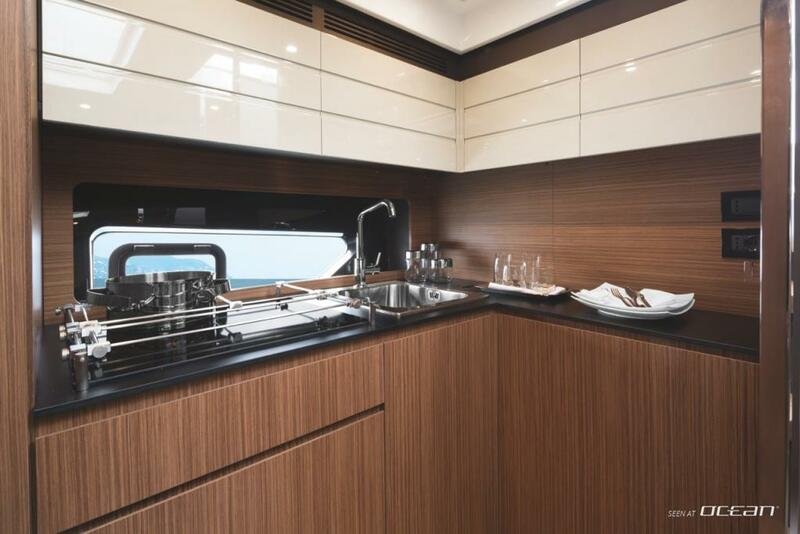 The cockpit features a wet bar, sink and BBQ grill and comprises an own fridge. The audio-visual entertainment systems consist of a LED-TV in saloon and DVD-player as well as external speakers so you can listen to your favorite MP3 music regardless of being inside or relaxing outside. 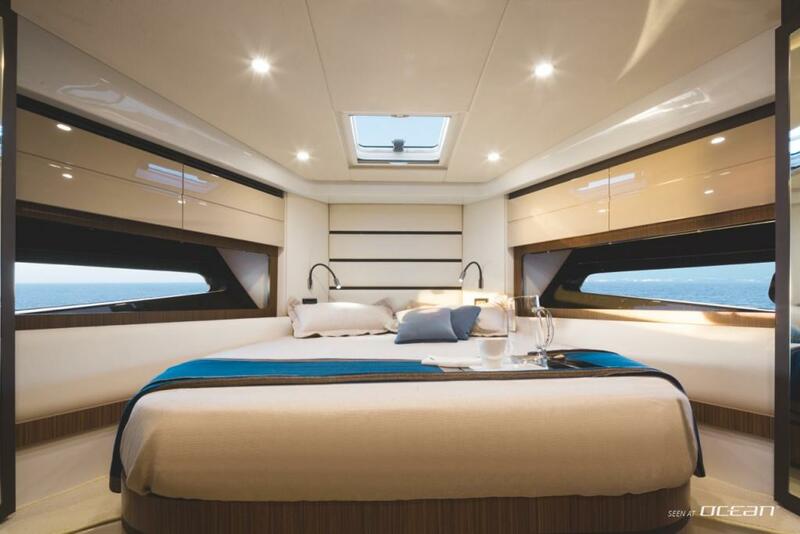 Performancewise the sporty Atlantis 43 for rent lives up to its dynamic look pushing forward to a remarkable cruising speed of 30 knots, respectively a top speed of 35 knots. And if you have thought these speeds will have an impact on your pocket, you are wrong. 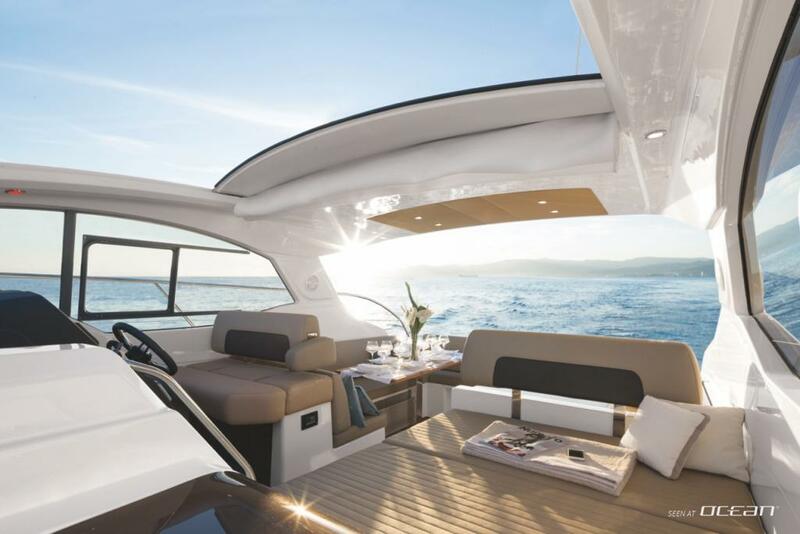 -The Azimut Engineering team developed a substantial and incomparable fuel-efficiency system ensuring a fuel consumption of only 65 liters per hour at 18 knots and 2.400 rpm. If you seek for a perfect small fast and modern motor boat for hire, with no compromises on comfort, having performance and design in mind, with latest technical features and amenities on board, than there is no way around Atlantis 43 motor yacht rental in Croatia. Inquire one way charters to and from romantic Dubrovnik as well as to Hvar island subject to availability and experience an unforgettable yachting holiday along the endless beautiful Adriatic coast. 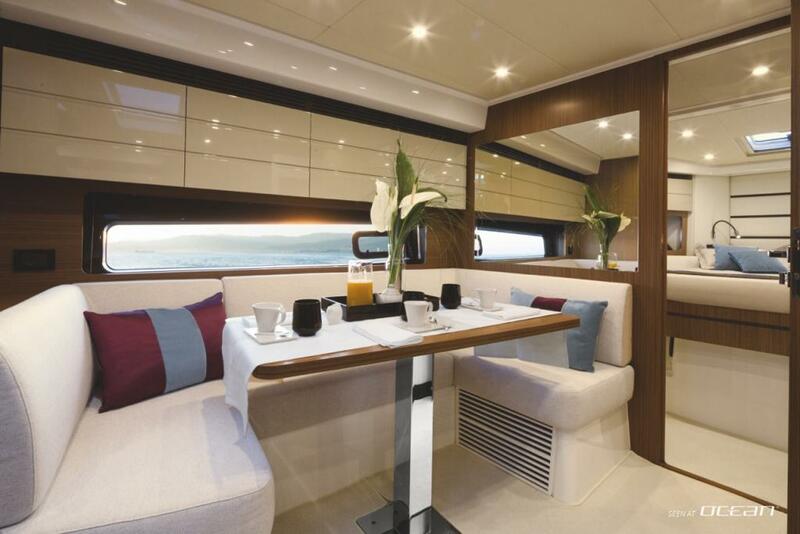 Please note that the images show the interior of our 2015 which has been sold. 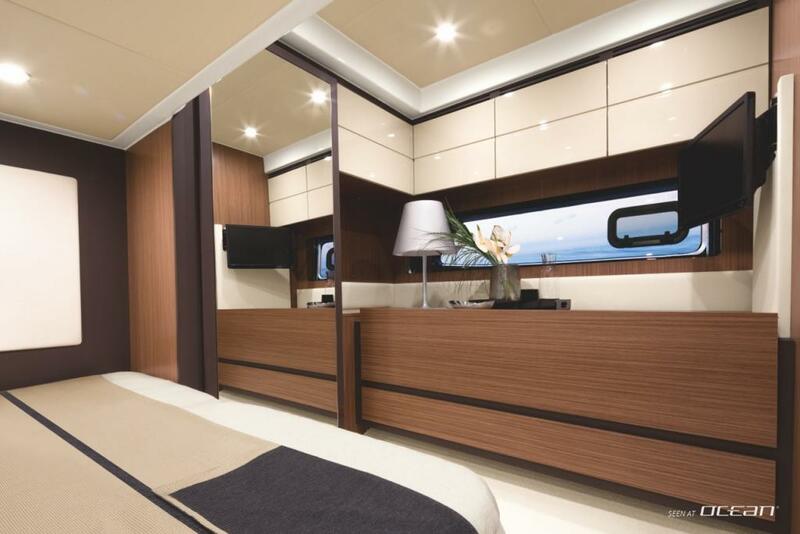 Our new 2017 model will have more of the brand new grey décor finishes, but will boast the same equipment and amenities on board. 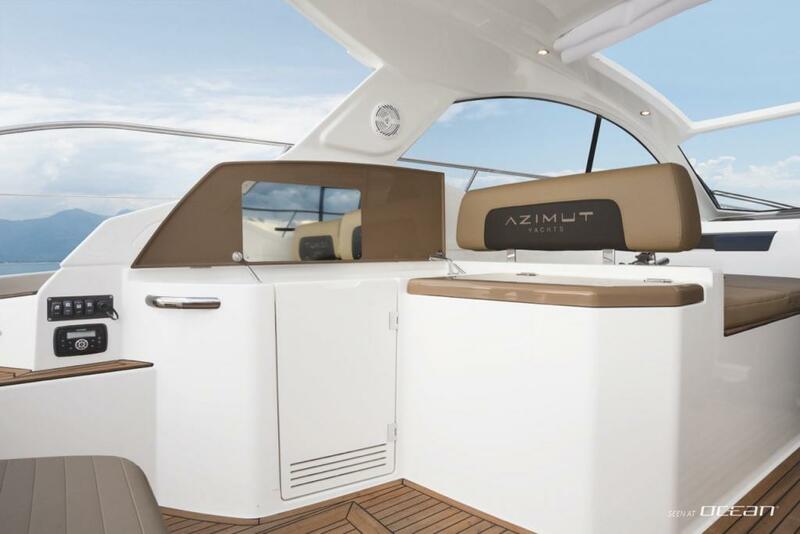 Please request the brochure with more images of the new interior available for the brand new 2017 Azimut Atlantis 43 charter yacht in Croatia.